The HP USB DVD+/-RW Drive is a stylish external DVD drive designed for netbooks, notebooks or PCs without drives. With its 14mm profile, the drive boasts a compact, portable body. It connects to netbooks, notebooks, PCs or modern TVs and digital photo frames via a USB 2.0 port. It allows you to enjoy two times faster write accessto dual-layer discs. 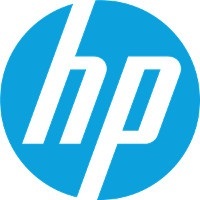 The HP USB DVD+/-RW Drive is compatible with Microsoft Windows 8 and Mac OS X. For shipping to other EU countries visit this page HP USB DVD+/-RW Drive. Chcete doručit zboží do Česka? Prohlédněte si HP USB DVD+/-RW Drive. Chcete doručiť tovar na Slovensko? Prezrite si HP USB DVD+/- RW Drive. Für Versand nach Österreich, besuchen Sie bitte HP USB DVD+/-RW Drive.